Quint 15 - 2010 Spartan Gladiator/Rosenbauer 100’/2000 gpm/500 gal. 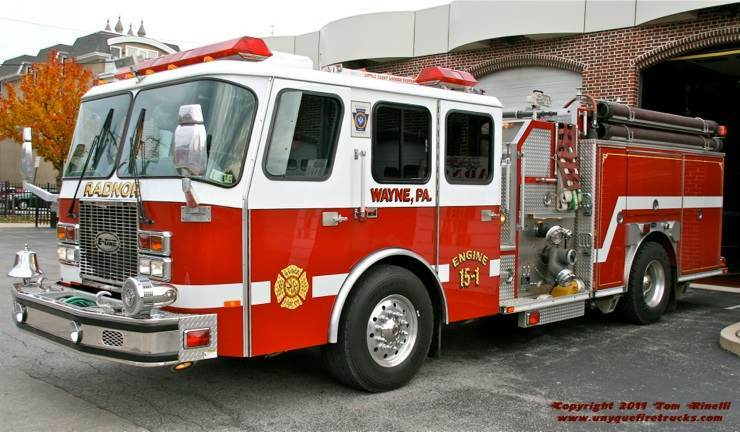 Entering service in May 2010, it replaced a 1994 Emergency One 100’ rear mount aerial. It is equipped with 450’ of 1-3/4” and 300’ of 2” attack line as well as 850’ of 5” LDH supply line. Responding second due on auto accidents as well as acting as a RIT response vehicle, this rig replaced a two door 1993 Volvo/Emergency One walk-around rescue. Featuring seating for six, the 20’ walk-around box features an 8,000 lb. winch with receivers on all sides, a 35 KW PTO generator, absorbent hopper, 9 cubic foot fridge and dual awnings as well as six 900 watt side scene lights, a 500 watt brow light & a 5,400 watt six head light tower. It is equipped with 3 Simo pumps powering six Hurst tools and a gas Simo pump for portable use. 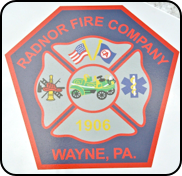 Organized in 1906 after a two year absence of fire protection following the disbanding of two fire companies, Radnor protects a residential/commercial response area. Its’ volunteers supplemented by daytime career staffing respond to an average of over 2,500 alarms annually providing Fire, Rescue & ALS level EMS protection. 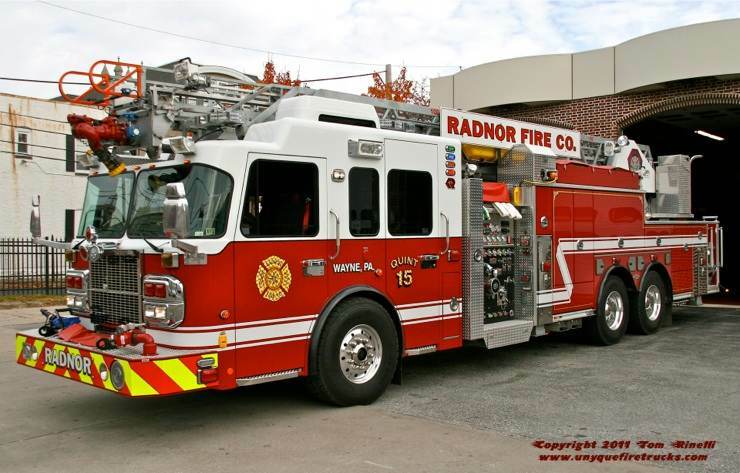 Radnor holds the distinction of having the first motorized fire apparatus ever built, a Knox engine that had a pump so powerful that the vibrations routinely drove the wheels into the muddy ground!! Squad 15 - 2003 Seagrave 2000 gpm/750 gal. Responding first due to auto accidents, it covers I-476/Blue Route from the Schuylkill Expressway/I-76 to the West Chester Pike/Route 3 (Radnor shares responsibility with the Bryn Mawr FC, Montgomery Co. Station 23 North of Route 30 and Broomall FC, Delaware Co. Station 53 South of Route 30. It features a 7.5 KW generator with three pre-connected floodlights, two Hurst tool sets with Simo pumps, a gas Simo pump and stabilization jacks. For firefighting operations, it is equipped with 200’ of 3/4” booster line, 700’ of 1-3/4” & 600’ of 2-1/2” attack line as well as 1,200’ of 5” LDH supply line. 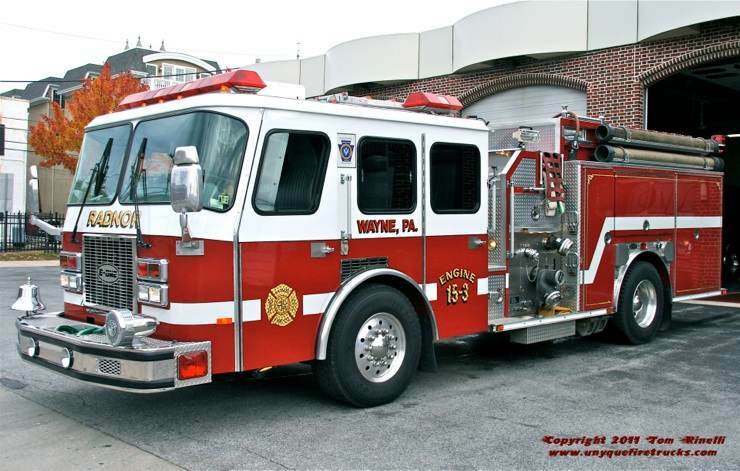 Engine 15-3 - 1996 Emergency One Cyclone 1500 gpm/500 gal. 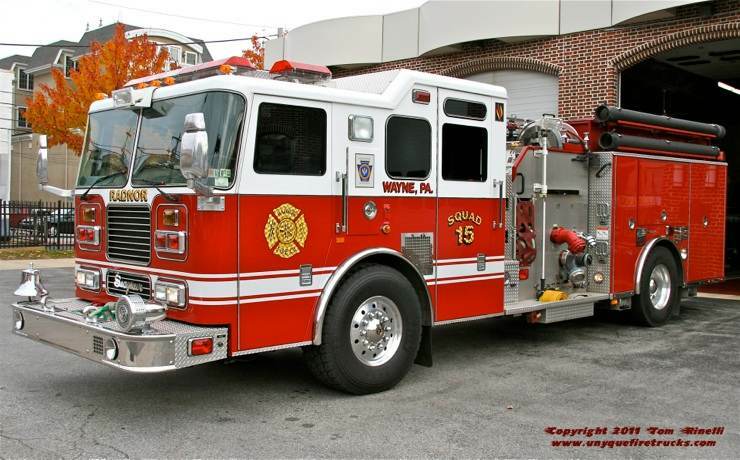 Mirroring Engine 15-1’s equipment complement, it is equipped with 1,200’ 5” LDH supply line. Engine 15-1 - 1999 Emergency One 2000 gpm/500 gal. 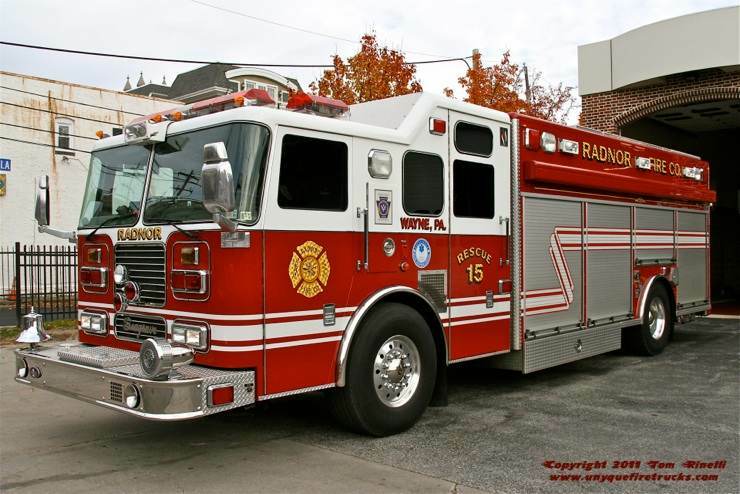 This rig regularly rotates with Engine 15-3 as the first due apparatus. It is equipped with a 7.5 kw generator, 800’ of 1-3/4” & 600’ of 2-1/2” attack line, 1,500’ of 5” LDH supply line & an electric PPV fan. Special thanks to career FF/Paramedic Jason Drinkwater & FF/EMT Jason Cole for their assistance in positioning the apparatus for photos. 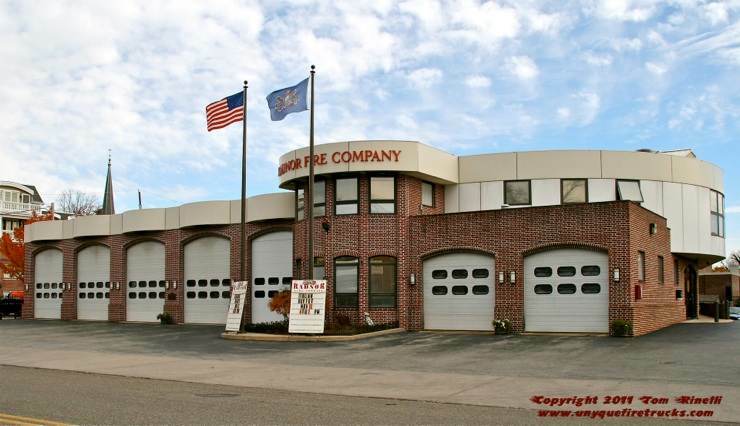 Radnor operates their entire apparatus fleet from this modern seven bay firehouse.